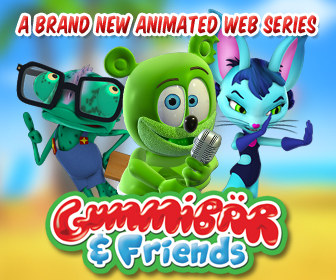 PLEASE VISIT GUMMIBÃ„R’S NEW ONLINE STORE, GUMMYBEARSHOP.COM! ALL THE ITEMS BELOW ARE NOW FOR SALE ON THAT SITE. All international orders are processed within approximately 4 business days, are shipped via US First Class Air Mail, and can generally be expected to arrive within 10 to 24 days, depending on location and customs. 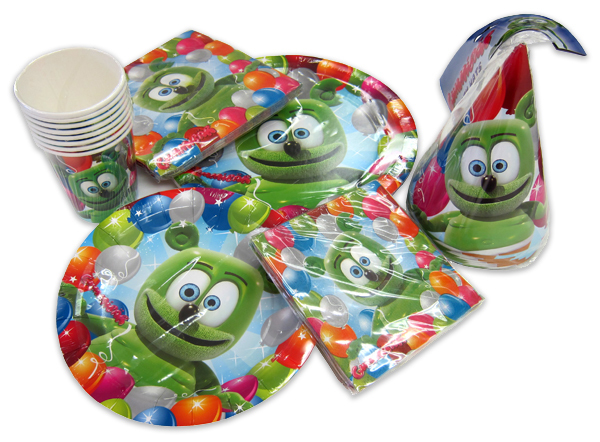 Festive and colorful Gummibär themed plates, napkins, hats, cups, and balloons are now available for all of your party needs! Items can be purchased individually or as a complete set. PURCHASE COMPLETE PARTY SET including all of the items listed above. 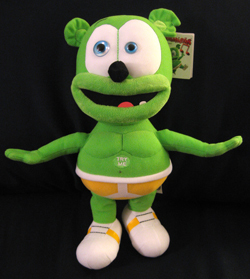 This cute and adorable Gummibär stuffed toy sings â€œThe Gummy Bear Songâ€ when you press his tummy. Approximately 12â€³ tall. SORRY, PLUSH TOYS ARE CURRENTLY SOLD OUT. 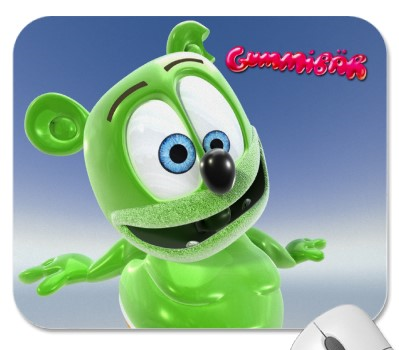 Hey Gummibär fans! You can now have your very own Gummibär USB Flash Drive to store your favorite music, photos, videos and files! Here is a view of the front and the back of the flash drive. The flash drive is a little more than 2″ tall. And here is a photo of everything that is included in the box – the top and bottom of the flash drive along with a keyring which fits conveniently through his ear. Flash drives are $19.99 plus shipping. 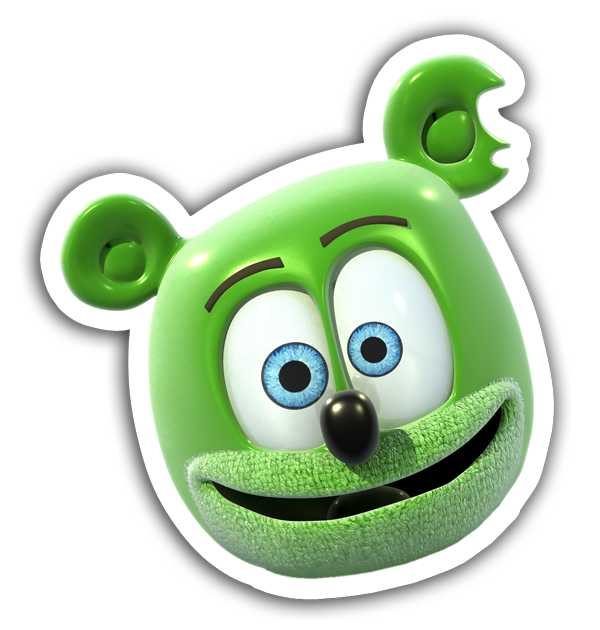 Groovy new die-cut stickers of the adorable Gummibär character are now available for purchase. They are approximately 3″ in diameter and are made of industrial strength vinyl that is designed to last. They are also coated with a UV laminate that makes them fade, scratch and water resistant. Beautiful full color die-cut vinyl Gummibär stickers are now available! 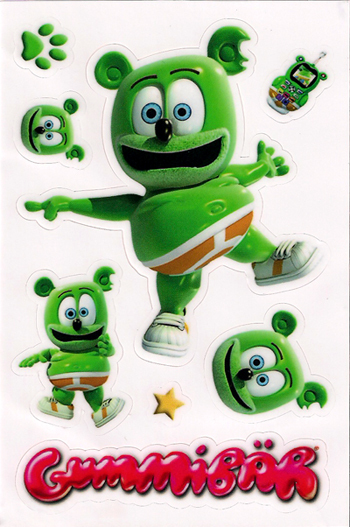 Sticker sheets measure 4″ by 6″ and feature 8 assorted Gummibär-themed stickers. 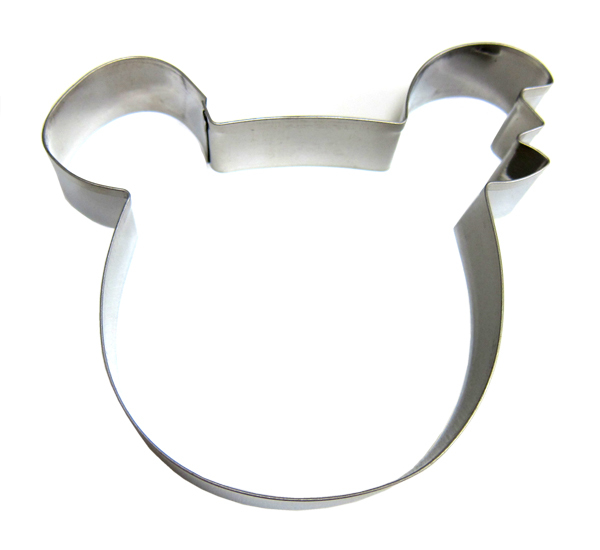 Gummibär cookie cutters are 3â€ wide (across the face) and 4″ wide (across the ears) and are made of tinplated steel. 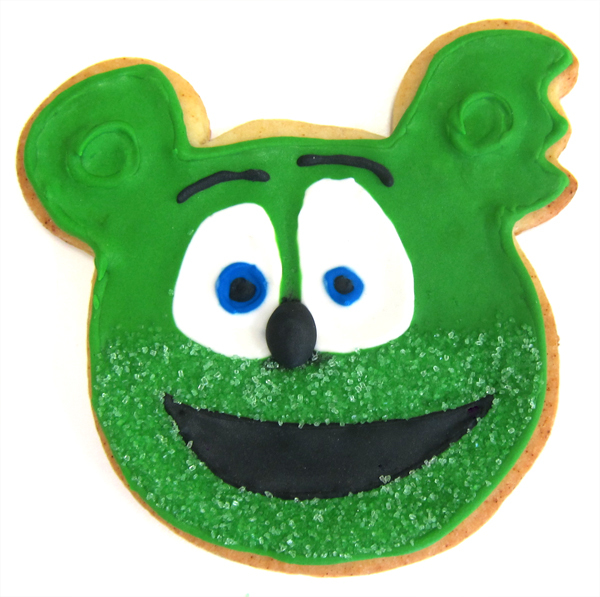 They are perfect for making Gummibär shaped cookies for birthday parties, holidays, after-school treats, or for whenever you want to enjoy a yummy Gummibär cookie! You also receive a free reverse image cookie cutter with every cookie cutter purchase. 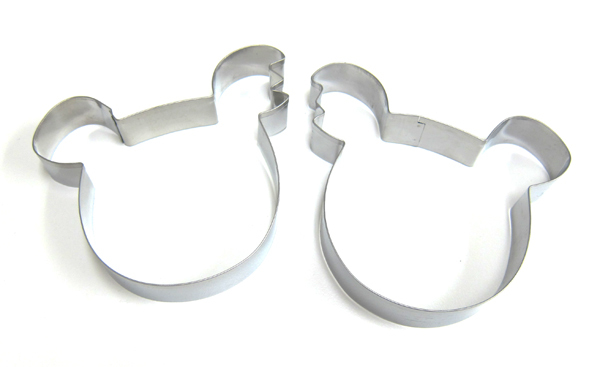 These are perfect for making sandwich cookies. Buy your Gummibär cookie cutter today! 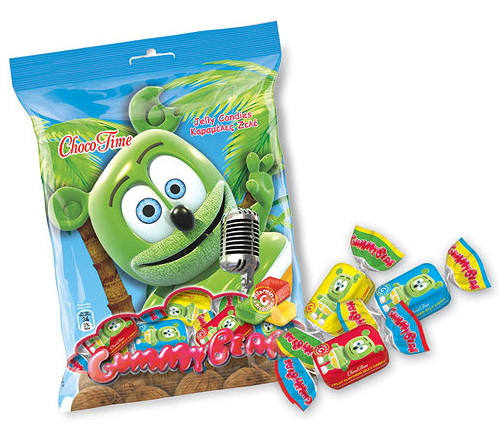 Gummibär is a pop superstar sensation in Greece with his I Am Your Gummy Bear album not only going Platinum, but going 96 times Platinum! He has made appearances on Greek television, has been on the cover of Greek magazines, and has appeared in Greek parades. In addition to being warmly embraced by the Greek public, he has been warmly embraced by several different Greek companies, one of which is ChocoTime, a candy manufacturer. 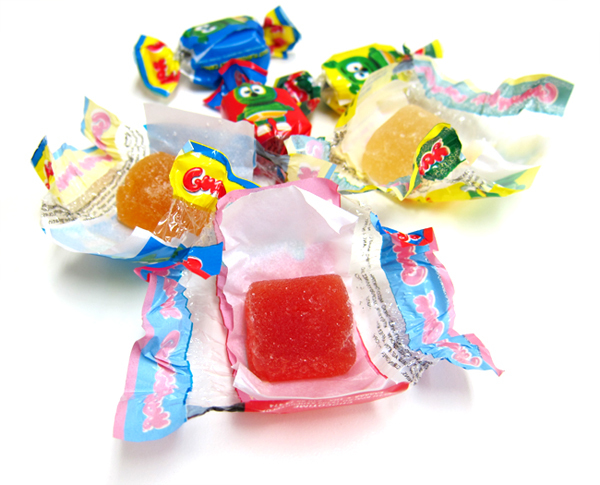 They’ve made some yummy Gummibär fruit flavored jelly candies and we have imported some to make available for sale exclusively here on gummibar.net. Each 200 gram bag of candy contains 18 pieces in assorted flavors. Each piece has only 34 calories and contains 5% of the RDA for Vitamin C. Vegetarians will be happy to know that they also contain no gelatin. Ingredients as listed on the packaging are: Sugar – Glucose Syrup; Gelling Agent – Pectin; Acidifier – Malic Acid, Natural Identical Flavors, L Ascorbic Acid; Colors – Anthocyannins, Curcumin, Copper Chlorophyllin. High quality heavy weight ADULT shirts. 100% pre-shrunk cotton. Sizes range from Medium to XL. Here is a link to a size chart – SIZE CHART. (This size chart is for the Adult Shirts only). 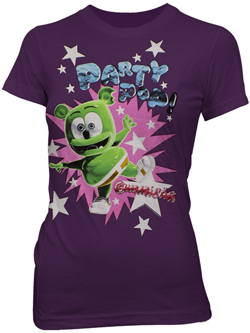 Trendy, light-weight, longer, fitted LADIES shirt. 100% cotton. Juniors sizing from Small to XL. Here is a link to a size chart – SIZE CHART. (This size chart is for the Ladies Shirts only). Approx 7.75″ by 9.25″ – perfect for any desk or workspace. 1/8″ thick. Quality full color. Durable cloth cover. Non-slip backing. 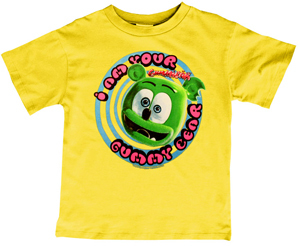 Visit the Gummibär Store on Zazzle. 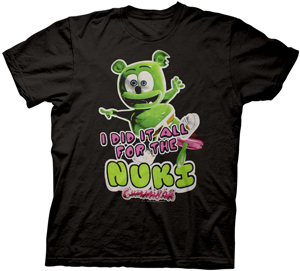 Brighten up any room with this fun and colorful Gummibär poster. A limited edition collectible, it was printed on heavy cardstock. It is shipped rolled up inside of a poster mailing tube. Goodies page with access to free music downloads, computer wallpapers, and more. All prices include FREE USA shipping and handling. Super sweet new Gummibär 1″ pinback buttons. Set of 4 includes one of each design. Shipping and handling charges are included in the price. Please select USA shipping or International shipping for all orders outside of the USA.